Gravity Blu-ray to get Dolby Atmos soundtrack | What Hi-Fi? Warner Bros. Home Entertainment has announced that the award-winning film Gravity is set for a Dolby Atmos Blu-ray release early next year. 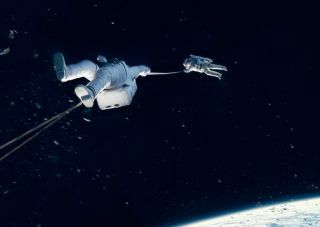 With Atmos considered to be the next big innovation in home cinema sound, film studios are delving into their back catalogues for movies to release on the format - and we think the immersive soundtrack of Gravity should make for a pretty good fit. We've seen the film in Atmos a couple of times and it sounds fantastic, and with home cinema manufacturers upgrading their speakers and AV receivers to handle the new format, we're hopeful this is a new, exciting step for home cinema. There will also be a 'Silent Space version' of the soundtrack, which removes Steven Price's score to allow fans of the film to experience it "without music for a surprising cinematic experiment". The Diamond Luxe edition of Gravity is set for release in the US on 10th February of next year. A date for the UK release has not yet been announced.